Christians are the most persecuted religious group in the world, Australia’s Catholic bishops have told a Parliamentary inquiry. More than 100,000 Christians are killed each year because of their faith and the bishops highlighted how Christians had been driven from the cradle of Christianity in the Middle East. 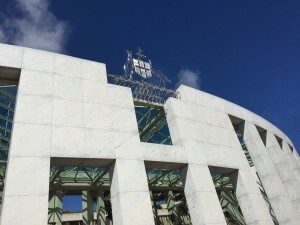 The Australian Parliament’s Joint Standing Committee on Foreign Affairs, Defence and Trade is holding an ‘Inquiry into the status of the human right to freedom of religion or belief’. The inquiry this week published the Bishops’ submission. But Christians are by no means the only people suffering for their faith, with the submission also condemning the persecution of Yazidis, Baha’is, Jews, Muslims and others. “Understanding and recognising the full complexity of the right to freedom of religion or belief will be increasingly important to Australia negotiating its way in the world,” said Australian Catholic Bishops Conference president, Archbishop Denis Hart. “The proportion of the world’s population who have a religious faith is increasing at the same time as it is decreasing in Western countries like the United States and Australia. “If Australian governments want to understand the world – and the majority of Australians who proclaim a religious faith – they need to understand and accommodate religious belief. “Across the world, religious belief is under challenge, both from violent attacks or government restrictions on people who have a faith but also, particularly in the West, from a more aggressive atheism that does not tolerate dissenting views and tries to exclude religious beliefs from the public square,” said Archbishop Hart. “Yet religious belief provides the origin of human rights. In the Judeo-Christian tradition people are made in the image of God, which is the basis of the recognition of their human dignity. It is from this universal and inherent human dignity that derives the human rights of all people. “Governments must recognise that when talking about people of faith, they are talking about their own citizens, whether from a Christian, Jewish, Muslim or other faith tradition. Religious believers are in fact the great majority of Australians. “Most people who adhere to a religious belief exercise their religious freedom in the service of the common good. 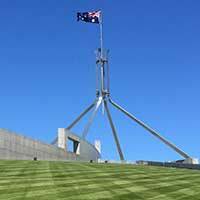 Overwhelmingly they do so in a spirit which respects the rights and liberties of others, and as Australian citizens, they expect in fairness that they will be accorded equal respect in the exercise of their rights to practice and manifest their religious beliefs. This entry was posted in Bishops, Press Releases, Public Policy and tagged Christians, Religious Freedom on March 30, 2017 by ACBC Communications.